You will earn 744 Reward Points. Earn 1 reward point for every 1 dollar spent. 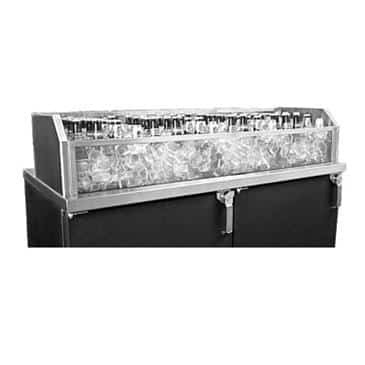 NOTE: Glass ice display units merchandise bottled beverages may be factory mounted to the top of Glastender Back Bar, Narrow Door, Low Pofile, Pass Thru, Front Venting, and Rear Feed Coolers, and Dry Storage Cabinets. Glass Ice Display Units ordered for field installation include a special insulated stainless drain pan that mounts to a countertop.